High stature. 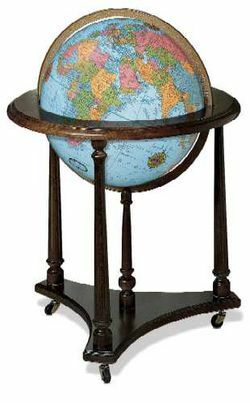 The 33" chairside height makes the LaFayette illuminated globe a very practical addition to the home or office. Everything you look for in a globe is here; a 16" diameter blue ocean illuminated globe ball, walnut-finish base, and a full die-cast meridian and raised relief. A globe that will be used and admired for years to come.